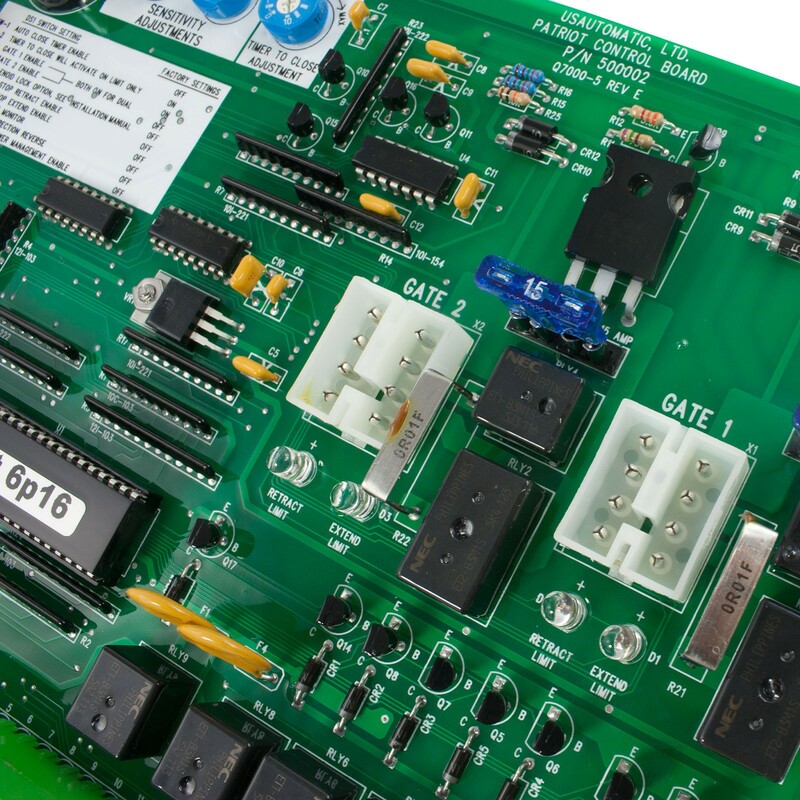 Control board for USAutomatic Patriot gate openers. 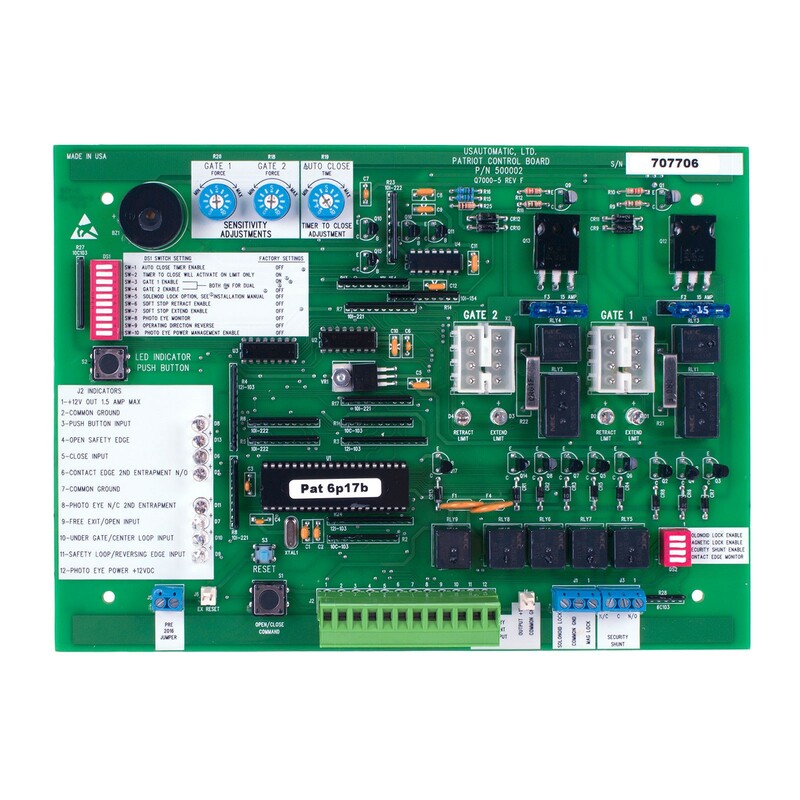 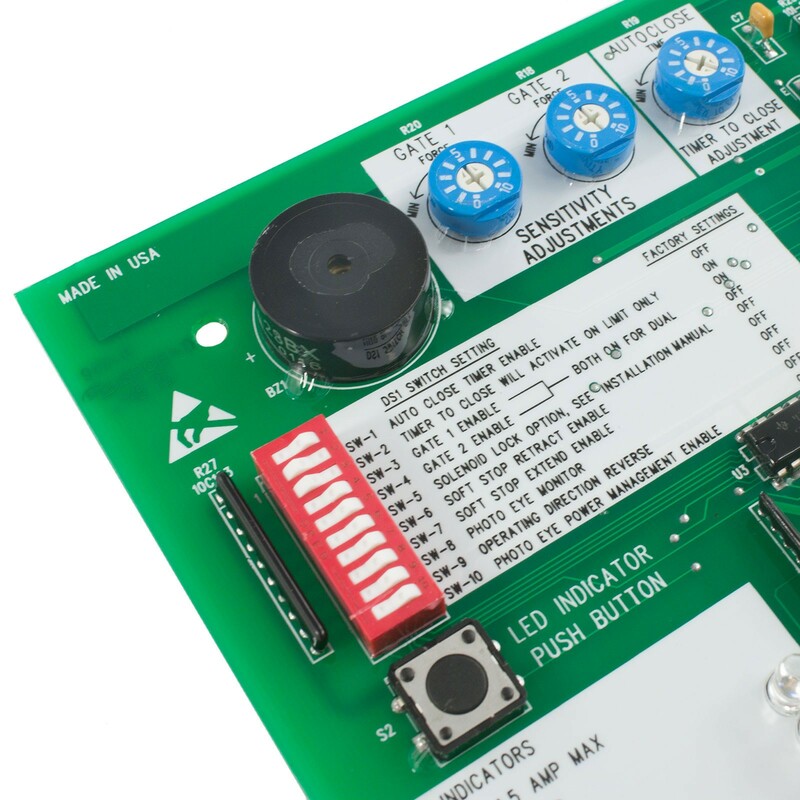 This control board is UL325 2016 compliant. 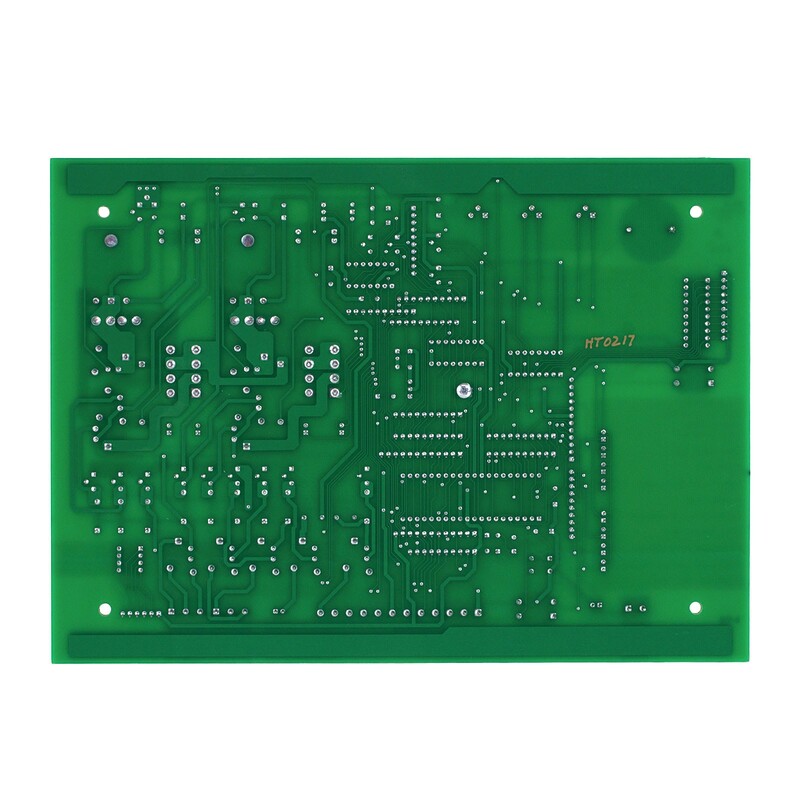 This product has replaced part number 500001.